Click here to nominate Right Royal Mother for new blog. William, Duke of Cambridge, is lounging at the breakfast bar in Anmer Hall, polishing his glasses. His wife, Catherine (Kate) is wearing a cashmere dressing gown and sipping a slimline G&T whilst browsing pictures nursery has sent her of her toddler son George fighting. She has spent a couple of days in bed, in preparation for her forthcoming trip to India. George is on the floor filling his Bing sticker book with postage stamps. Charlotte, her infant daughter, is teething loudly and Lupo the dog is quietly having a nightmare on the sofa. Kate pauses, mid ice-deposit, and slams down her phone. “Fun? What do you mean? Because I’m ‘work-shy?’ I’ve had it up to here this week. I’m just a Mum, muddling through. Hurrah for gin, is all I can say.” She tucks her hair behind her ears carefully and takes a large slurp. George is referring to Her Majesty, the Queen. William gives his wife a sideways look and Kate rolls her eyes. They are both thinking of the snippet of the forthcoming ‘Our Queen at 90,’ which was publicised this week and in which Kate made a dubious-sounding comment. NL. We call him ‘King Eeyore’. “Mummy, can I cut your hair please?” George looks up with a mixture of noble patience and devious intent. “I already have a ‘Mummy fringe’. I don’t want a ‘toddler bob’ too.” Kate glides to the sofa and shoves Lupo off. George looks as though he’s about to cry. Maria something-or-other, the Spanish nanny, materialises with Haribo, carrying a yelling Charlotte. William sighs. NOT notification the DoC is pregnant again. Just an amazing blog. His wife sticks her tongue out. “If you really want to know, I’m craving a Croque Maman but all I can eat is these.” She indicates a pile of peeled grapes. A footman appears and announces her mother, Carole, is at the door. Maria something-or-other slips a gloved finger into Charlotte’s mouth and extracts her discreetly but firmly from her father’s embrace. “She just needs drugs,” she whispers, producing a magnum-sized, bejewelled bottle of Calpol and Sophie the Giraffe. Fleetingly, Charlotte gazes at her father adoringly, then wails like a banshee. “You’re mad,” says Kate, laughing from too much gin. NG and NL. They laugh at me, anyway. why should you vote for right royal mother – new blog in the mad awards 2016? It has taken me a while to write this post because I have been running after two small children and a dog. I am probably too late to the table now as I should think most people have nominated already. But if you haven’t, a nomination for ‘new blog’ (or any category, really) in the MADS (Mum and Dad Awards) 2016 would be amazing. This is a chocolate RABBIT. Nothing else. Why should you nominate me for ‘new blog’ in the MADS? Because I think Right Royal Mother is properly different from other parenting blogs. I’m no good at recipes. Or advice. But it’s quite funny. (The founder of Ella’s Kitchen thinks so anyway). It takes a lot of nominations for a blog to get to the next stage of the MADs – and there are SO many amazing blogs out there – but I am giving it my best shot. And, hey, the Duchess of Cambridge might see it. (Squeal). The links in this post are all to blogs I have nominated in the MADS this year and/or been inspired by in the last few months. Thank you to every single person who has been even the slightest bit encouraging! I am new. But the blogging community is amazing and I hope I’m here to stay. Good luck! Glad you feel the blogging community is amazing. You’re right, it is, and long may it stay so. It really is. This winter has been quite challenging but blogging has really helped lighten the dark days. Just looked at your site … very cool; LOVE ‘around the world in movies’! I used to teach GCSE English and Taylor’s reviews are ace! Long live the blog :). I’ve nominated, and given you a shout out in my awards post too. Love this! 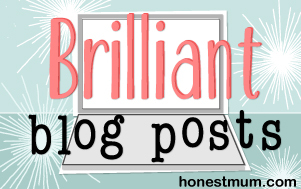 You’ve nominated so many great blogs and this post is very entertaining, funny and different (you are right) from most blogs out their so you certainly have a USP. Good luck! 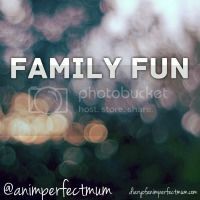 TY for linking up with #FamilyFun ?